While surfing on Youtube, I found Dota 6.59c Bug or you can say Dota 6.59c Exploit. According to me it is an imbalance bug in Dota Armlet of Mordiggian Item. Just you need to follow the steps given in video to use Dota 6.59c bug. After doing the steps you will be able to use Armlet without getting any HP loss. 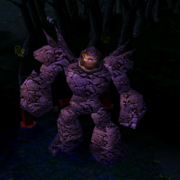 I think we see this bug fixed in Dota 6.59d or Dota 6.60. Below you can watch video of Dota 6.59c Bug. Hurry use this Dota bug, or It get fixed in upcoming Dota map! i know the bug already.